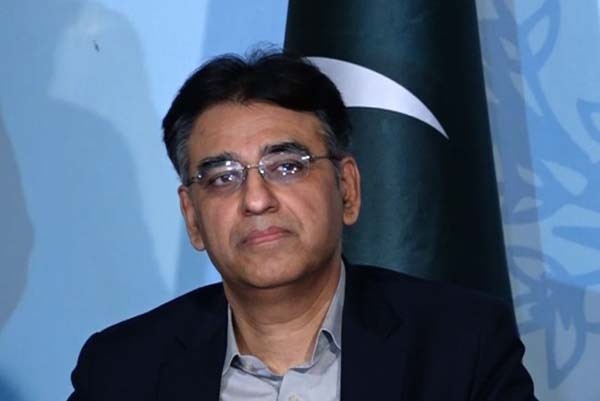 ISLAMABAD, Jan 23 (APP):Minister for Finance, Revenue and Economic Affairs Asad Umar Wednesday stood firm and kept his calm amid rumpus and hooting by the opposition while presenting the Finance Supplementary (Second Amendment) Bill, 2019 in the National Assembly. As the minister reached the podium to present the bill in the presence of Prime Minister Imran Khan, the opposition members stood up from their seats and started making noise. Some of them threw the copies of the bill in air after tearing them into pieces. They refused to listen to the budgetary proposals being told by minister and continued thumping desks and raising slogans.